Babesiosis is an infection of the red blood cells. It is caused by a single-cell parasite called Babesia. The parasite is carried by deer ticks, the same ticks that carry Lyme disease. Babesiosis infections in humans used to be rare, but the number of cases is increasing. Most reported infections are in the northeastern states and the upper Midwest. Have had their spleen removed. Have weak immune systems (due to conditions such as HIV/AIDS or cancer). 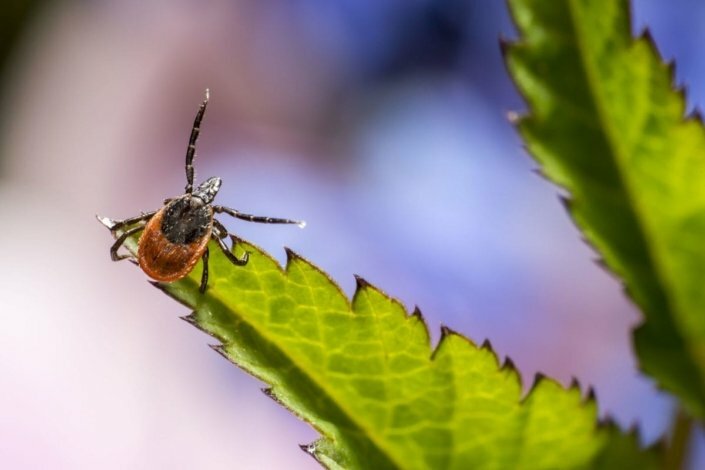 People get babesiosis when an infected tick bites them. The Babesia parasite is usually spread when the tick is in its nymph stage. At that stage, the tick is the size of a poppy seed. It can be hard to detect a tick this small. Ticks live in areas with a lot of plant life, such as wooded areas or fields. They sit near the top of grassy plants and low bushes. They wait there for people or animals to brush up against them. Ticks can crawl on your clothes or body for several hours before attaching to the skin. Ticks can attach to any part of your body. They are usually found in hard-to-see areas, including the armpits, groin, or scalp. An infected tick needs to be attached to your skin for 36 to 48 hours before it passes the parasite on to you. Though rare, it is possible to get babesiosis through a blood transfusion. It is also possible for an infected mother to pass the parasite to her baby. This can happen during pregnancy or delivery. This is also rare. Your doctor will look at a sample of your blood under a microscope. If you have babesiosis, he or she will be able to see the parasite in your red blood cells. They might test your blood for other infections that could be causing your symptoms. This includes other diseases ticks can carry, such as Lyme disease. It is possible to have more than one tick-borne illness at a time. Can babesiosis be prevented or avoided? Use an insect repellent with at least 20% DEET. It can be put on clothing or sparingly on the skin. Don’t apply it to children’s faces or hands. Had an organ transplant or are taking immunosuppressant medicines (which weaken or suppress the immune system). An HIV infection or AIDS. Any other chronic condition that affects your immune system. Don’t panic. Use fine-tipped tweezers to grab the tick as close to the skin’s surface as possible. Pull up with steady, even pressure. Be careful not to squeeze or twist the tick body. Sometimes parts of the tick remain in the skin. You can leave them alone or carefully remove them the same way you would a splinter. Do not use heat (such as a lit match), petroleum jelly, or other methods to try to make the tick “back out” on its own. These methods are not effective. Wash the area where the tick was attached thoroughly with soap and water. Monitor how you’re feeling for the next month or two. Call your doctor if you develop flu-like symptoms. Be sure to tell your doctor that you were bitten by a tick and when it happened. People who have healthy immune systems and only mild cases of babesiosis usually don’t need treatment. The body fights the infection on its own. People with more severe cases are treated with antibiotics. If you develop shortness of breath or other symptoms during treatment, tell your doctor right away. If you have a severe case of babesiosis or a weak immune system, you may need to go to a hospital. Many people infected with babesiosis don’t have any symptoms. They don’t even know they have it. Those who experience symptoms can be treated with antibiotics. They usually make a full and complete recovery. People at risk of a more severe infection could experience complications. The most common is hemolytic anemia. This happens when the Babesia parasite destroys red blood cells faster than the body can make new ones. It can lead to jaundice (yellowing of the skin) and dark urine. vital organ malfunctions (such as liver, kidneys, or lungs). If you experience any of these issues, get medical help right away. Do I have a tick-borne illness? If I need treatment, what is best one for me? I have HIV. Should I avoid areas where ticks may live? Learn about tick-borne relapsing fever and how it is treated.